Take your taste buds for a tour! Welcome to Cozumel and Cozumel Chef’s Food Tours of Mexican cuisine. 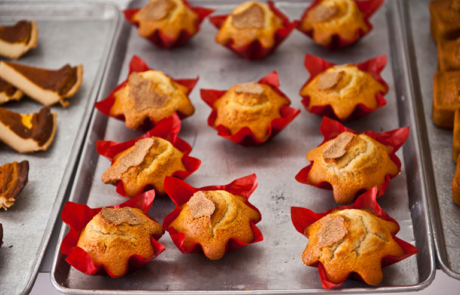 Mexican cuisine is known for its varied flavors, vibrant colors and variety of spices and ingredients. The cuisine is a blend of indigenous (Mayan/Aztec) and European elements (mainly Spanish); on this tiny island you will be sure to find it all! On our food tours you will get an opportunity to taste a variety of dishes, ranging from traditional street fare to the regional cuisine of the Yucatán. You will visit Cozumel’s local restaurants that are far from the tourist main-stays. Tours are all-inclusive and intimate. 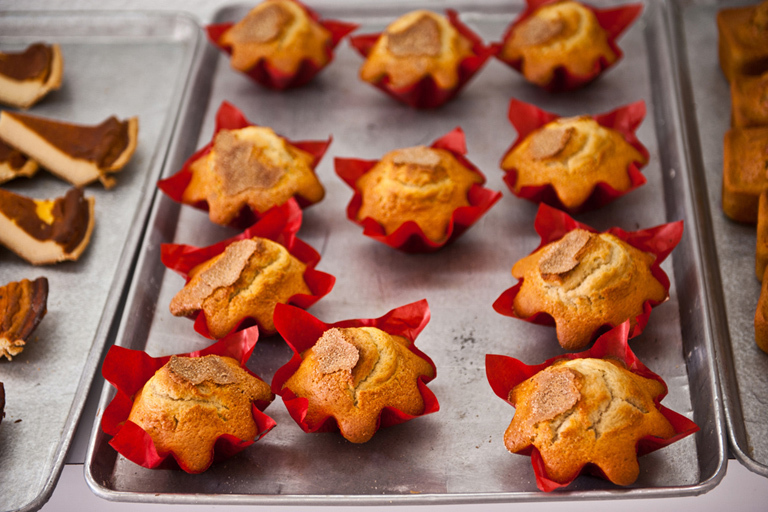 Be sure to bring an empty stomach, even though these are tastings you will leave quite full. Cruise ship passengers and tourist staying on the island are highly encouraged to see and taste Cozumel on one or all of these unique food tour excursions. Come, eat and find out what makes Mexican food so great! 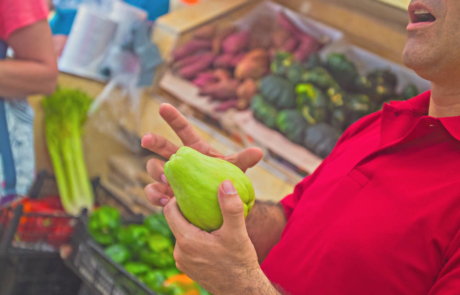 Visit El Mercado, a traditional Mexican Market. 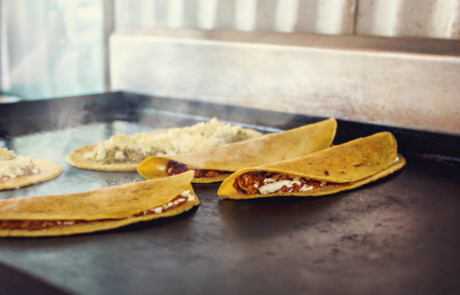 Savor authentic quesadillas, a favorite Latin American snack. Refresh with a REAL Mexican Cola or aqua Jamaica. 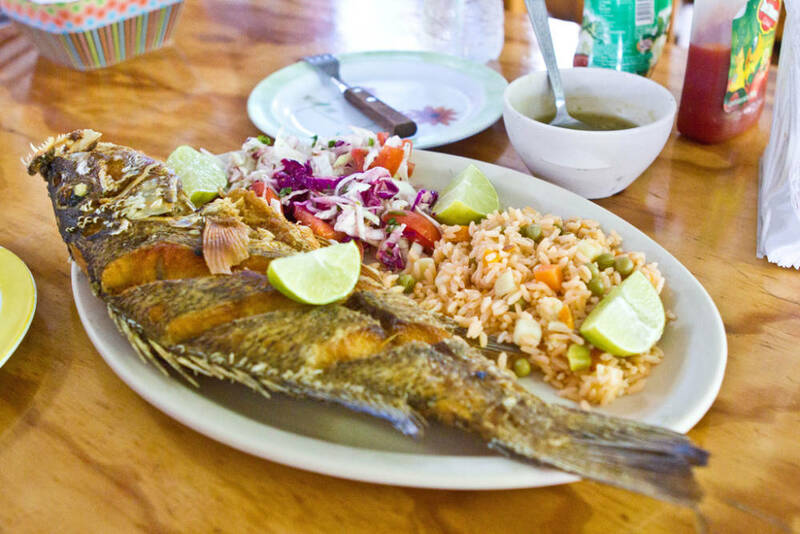 Feast on home-cooked Yucatecán food in a cocina economica (a special kind of restaurant) & more! The island has a lot to offer! We can come up with a personalized tour based specifically on your desires. 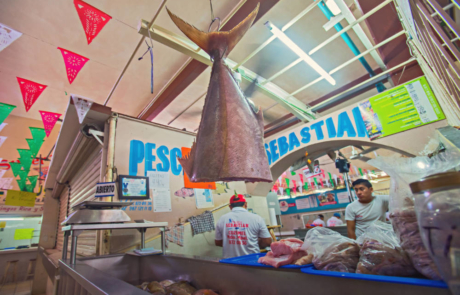 We could focus on seafood, particular festivals, seasonal based fare, etc. 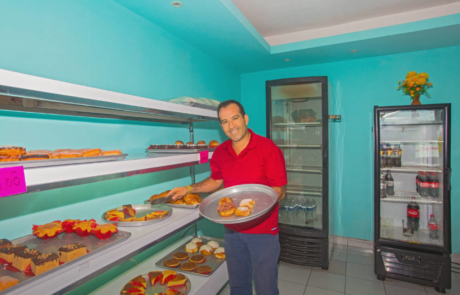 “My family lives in the Caribbean so we are already accustomed to the beaches so we decided to do a food tour in Cozumel. We took a short ride to our pick up destination where were greeted by a very pleasant and personable tour guide, Jerry. Jerry showed great hospitality; he gave us cultural background information on the various dishes we were sampling and attended to each member of my family. The food was amazing and everyone indulged. 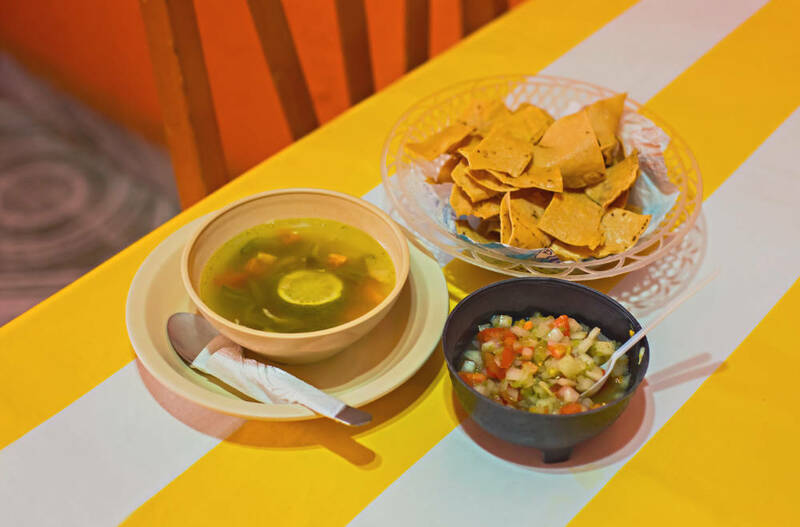 We tried 6 different Yucatán/Quintana Roo-specific foods at 4 different small local restaurants: Cactus & Huitlacoche (corn mushroom) Quesadillas, Pork Cochinita Tacos, Chips & Refried Black Beans & Hot Salsa, Sopa de Lima (traditional Key Lime & Chicken & Habañero Pepper Soup), Fish & Crab Ceviche, and Whole Fried Grouper! Everything was amazing – and Gerry ended the tour by giving the group a choice for dessert: Bakery or Tequila Tasting? The group’s consensus was overwhelmingly pro-Tequila, so we went to the Tres Tonos Tequila Store/Museum (they don’t actually make it there, they show you the process in photos, and then bring you to a shop), with Armando as our tour guide. He told us all about the process, and took us to taste 4 different ages of tequila and some other flavored liquors, then left it up to us to buy or not buy tequila, gifts, clothing, and/or Mexican Vanilla Extract – we got 1 bottle Tequila Reposado ($60) and 1 Vanilla ($8). This tequila is smooooooth! And they give you generous samples and make funny toasts. Hope you get Armando! “Loved my day eating like a local and trying fantastic Mexican flavours. 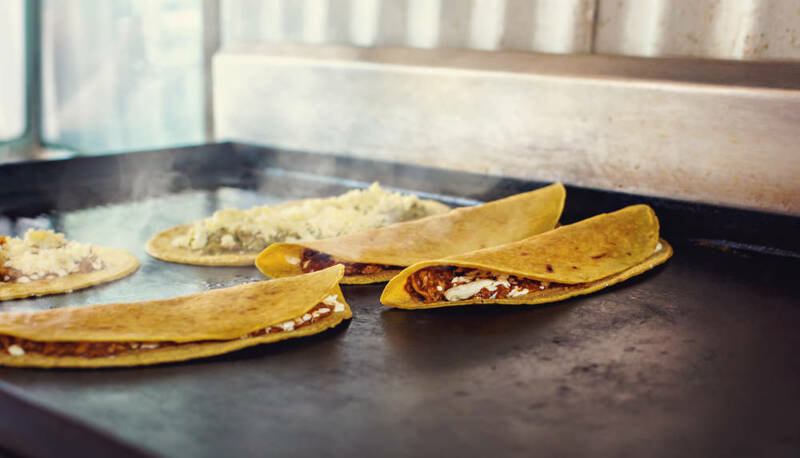 Quesadilla’s, taco’s, soups, slow-roasted pigs, local beers and authentic Mexican delicacies and more are all crammed into an adventure for your tastebuds. I loved the Nopal which is the flat paddle of a cactus (without the prickles of course) that is crunchy with a zesty flavour and I discovered goes surprisingly well with Oxaca one of Mexico’s best cheeses. Another delicacy is Huitlacoche, which is a fungus that grows on the maize and is surprisingly tasty. This tour opened my eyes, my mind and my taste to exotic flavours and a true delight to my senses as I experienced things tourists would never get to see, taste or try in most restaurants. “Food tours are our new must dos in a new city! Booked this one with Emily thru their Facebook page. She was very helpful and flexible with our cruise timing and gave us clear direction of how to reach the meeting spot. It was a group of 10 plus our guide, Gerry. He was very informative and knowledgeable with the area. He and our taxi driver took us to 6 different food spots including a stop at a local market for a brief introduction to local produce and spices. Each food spot included a beverage (juice, soda, water, or local beer) which was a pleasant surprise! Other food tours mostly included only water. Towards the end, we were given the option of going to a bakery or a tequila tour. Our group chose the tequila tour and it was great! We learned that we can actually liked tequila – the good kind where it doesn’t burn in your belly. 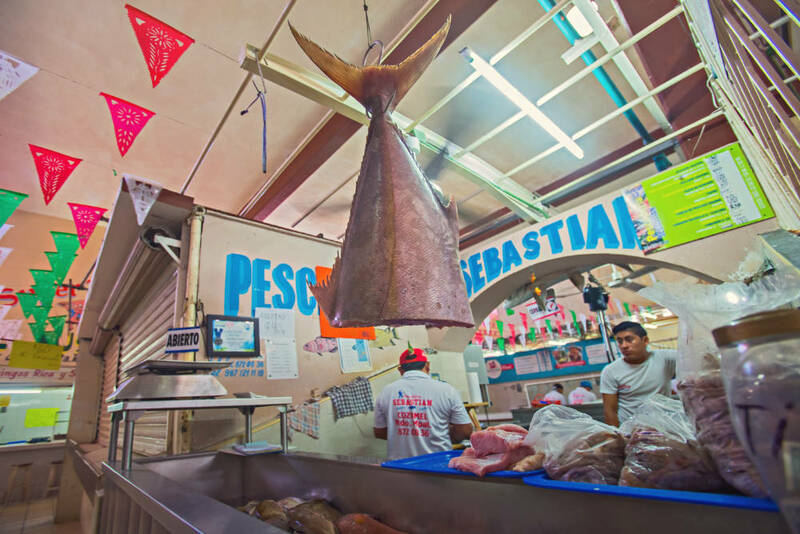 “If you’re a foodie like me then this is the top tour and a ‘must do’ when visiting Cozumel. Starting out with freshly made quesadillas, you’ll try exotic ingredients like Nopal (cactus) and Huitlacoche which is a fungus that grows on maize and topped with a tomatillo sauce is delightfully scrumptious. The treats just keep coming with succulent slow roasted pork that is buried in the ground and cooked overnight, a trip to the local market, trying local beers, tortilla’s fresh off the grill, flavourful soups and seafood galore. 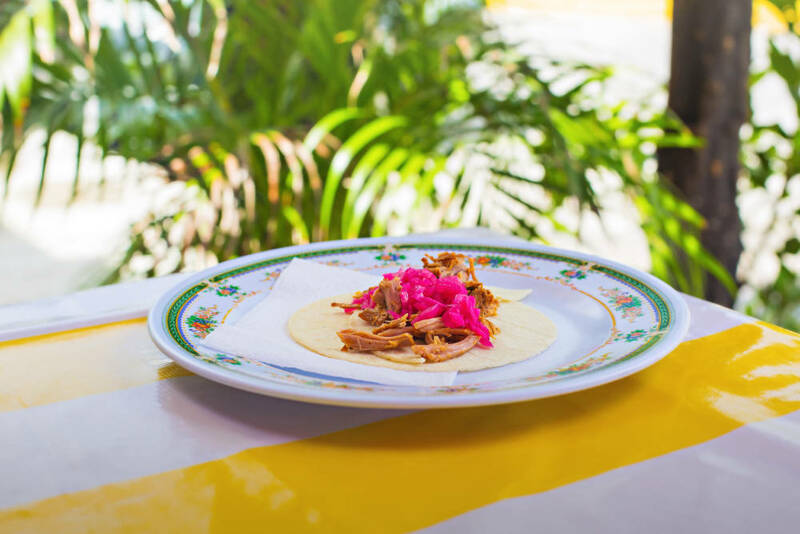 Conch and octopus are just two of the variety of choices for your tacos. “What a great tour ! Had the pleasure of visiting 5 locations in Cozumel to taste the local cuisine while experiencing it along with families and local workers. The food was fantastic and the opportunity to share the mid day meal with local families was priceless. We learned about the local customs and traditions from our guide Gerry while also visiting a market, tortilla factory and end the tour at a bakery with something sweet for tomorrow. “One of the Best Excursions We’ve Ever Done. If you’ve ever wanted to feel like Andrew Zimmern (Bizarre Foods) for the day, book this tour. “We stayed in Cozumel for the week over spring break but noted that most of the top restaurants on Trip Advisor were still in “the tourist zone”. Wanted a way to get good, real Mexican. Enter this tour. Gerry was our guide and took us into the neighborhoods to get some great food from smaller, local restaurants. Loved the day. Come hungry… you will enjoy! “Gerry was our guide and he did a phenomenal job making us feel safe and welcome to asking questions! The food places he took us to were authentic and delicious and we ended our tour with a visit to a Tequila tasting. Overall a wonderful tour that you won’t want to miss while visiting the sites in Cozumel.! “We had such a wonderful time on this food tour! All of the food was delicious and we enjoyed tasting local cuisine after being in touristy areas for most of our trip. Absolutely nothing like a fresh corn tortilla!! I don’t think I could choose a favorite stop because after every place we went, I claimed that it was my favorite. Our guide, Jerry (or Geraldo) is lovely! We enjoyed hearing his stories and he is very knowledgable about the food and the region! 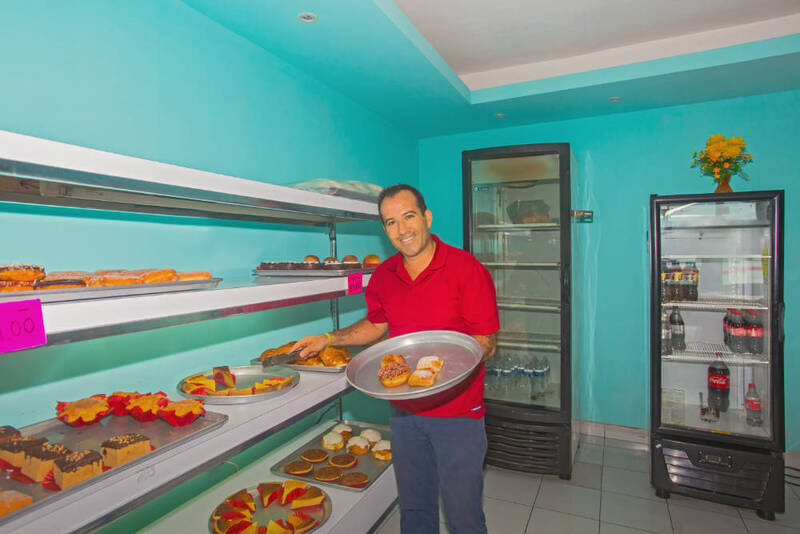 “This food tour not only takes you into the real Cozumel community, but you also get a taste of everyday food. The dishes are amazing, prepared by home chefs, and Jerry the (guide) tells you how the food is made, where it came from (this is not Tex-Mex food), and the history of the food. The company goes out of their to accommodate everyone, and it’s just an all-around excellent experience. “First off, Jerry (my guide) was awesome! He was extremely knowledgable, personable, funny, and knew the best places (outside cruise ship alley) to eat! Cochinita Pibil was off the rails good! If offered the option, the tequila tour to Tres Tonos (spell) is an excellent choice. Myself, I purchased a bottle of Extra Anejo which was so good, I finished it long before I left the island. “Since my husband and I love watching the Food Network on television, we were looking for an authentic eating experience when we went to Cozumel. This tour was everything we hoped for and more. Great food, great beverages & we finished the tour off with some very decadent desserts. If we are ever in Cozumel again we will definitely contact Emily with Cozumel Chef. She was quick to respond to my emails & easy to communicate with. “My wife and I take this tour every year when we are in Cozumel and its always so amazing. First Chef Emily is easy to connect with for scheduling as well as any questions, concerns or needs you may have prior to booking or in advance of the trip. Jerry (Gerardo) is an excellent tour guide and always works with the group to find new and interesting places to visit. No two tours have ever been the same and the food is so good. After the tour we rent scooters so we can go back to the places Jerry showed us during the tour. “We met Gerry at the MEGA store, which was a short cab ride from the cruise terminal. Gerry teased us a bit about safety and food in Mexico. Then we were on our way. We had the most amazing Quesadilla’s made of Cheese with Cactus (amazing) and Huitlacoche with cheese. Incredible things we never tried. We had tacos and salsas. Went to a local market. We had sopa de limon. We had ceviche and fried Hog fish. The local soft drinks were crazy good and unusual. Instead of going to a bakery we opted to go to Los Tres Tonos (a tequila distillery). We have never had such fabulous Tequila. We wound up purchasing 4 bottles of their flavored tequila. How did you hear about Cozumel Chef?